Lately more and more dramas are rumored to be an adaptation of the popular webtoon-webtoon. Like ‘First, Clean It Passionately’ to be made on JTBC television station, ‘Sound of Your Heart Reboot: Jerks’ which is a continuation of the webtoon ‘Sound of Your Heart’ webtoon adaptation, the ‘Cat and Dog’ webtoon is planned to be made into in the form of a drama with the title ‘Mermaid Prince’, and so forth. The development of webtoon in Korea is very rapid, now more and more webtoon from South Korea with a very diverse story topics. Webtoon fans certainly want to see their favorite webtoon be realized in drama form with players who can resemble the characters in the webtoon. Here are 3 popular webtoons that are expected to be adapted into dramas. Webtoon titled ‘Lookism’ is made by Park Tae Joon, with ratings for ages 18+. This webtoon has a theme of school life, magical, and romance. Webtoon is one of the webtoons that gained great popularity both inside Korea and outside Korea, one of them in Indonesia. In fact, the writer Park Tae Joon had come to Indonesia to hold fan-signing. 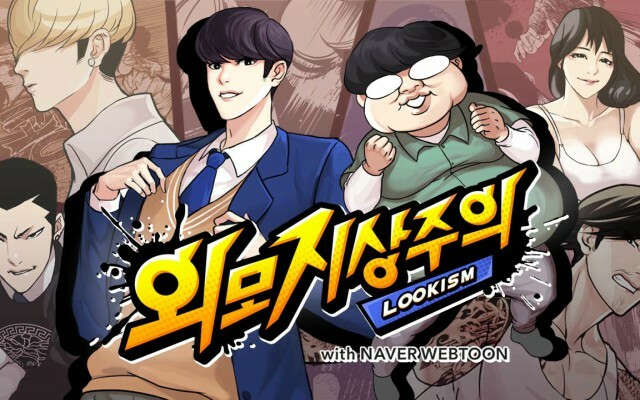 Webtoon ‘Lookism’ was first published on the Naver site on November 20, 2011. Until now the webtoon ‘Lookism’ has reached chapter 161 and still continues. This Webtoon tells about a student who berma Park Hyung Seok who always oppressed at school because of his fat and ugly physique. Unable to withstand the rebellion he moved to another school far enough away from his old school, but suddenly he had two bodies, one was his former self and another was a tall and handsome man 180 degrees different from his old self. He also leads his new school life as Park Hyung Seok is tall and handsome, through the body he is not oppressed again but revered by women and he also gained new experiences that never before he got. The story of this webtoon is often considered to describe the social condition of Korean society that is very concerned with appearance and sometimes look down on people who have less than ideal physical. 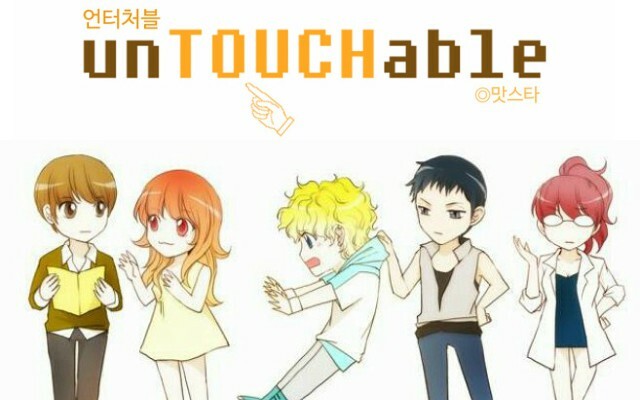 Webtoon ‘UnTouchable’ is Massstar’s webtoon. This webtoon first appeared on the Naver site on February 12, 2014 and ends on April 3, 2017 for a total of 140 episodes. Webtoon is about a model named Sia Lee. Sia Lee is actually a modern vampire who gets energy from humans by holding them. One day Sia collided with a man and accidentally touched his hand as he took the man’s book. At once he was amazed by the energy that flowed from the man, however, he was mistaken for a stupid stalker. Apparently they are both neighbors, Sia know the name of the man is Jiho Shin because the package contains the man’s book is wrong to send to his residence. Jiho was suffering from mysophobia diseases that do not like to be exposed to germs, so he did not like to be touched by others. This disease he experienced since childhood because of the trauma received from divorce both his parents and stepmother he has. Jiho is a person whose personality is cold and does not care about the circumstances around him. The story of this webtoon evolved along with Sia’s efforts to heal Jiho from his illness so he can touch Jiho. 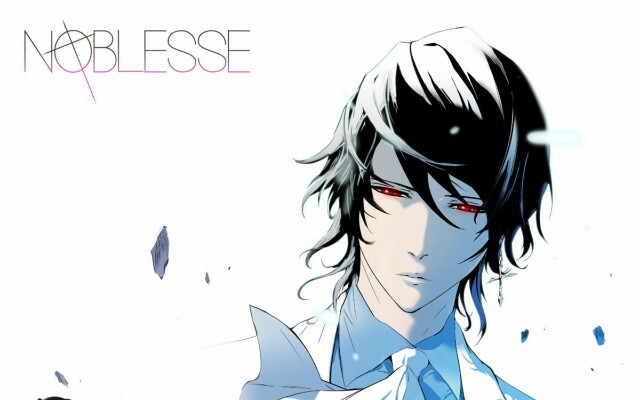 Webtoon ‘Noblesse’ is a webtoon written by Son Je Ho and drawn by Lee Kwang Soo. Webtoon was first published on the Naver site on December 30, 2007, and still continues to this day. Now the webtoon ‘Noblesse’ has reached 488 chapter on the Naver site. This webtoon is very popular and is one of the webtoones that were translated into English through LINE Webtoon in July 2004. The Webtoon features action, mystery, supernatural, and comedy themes. 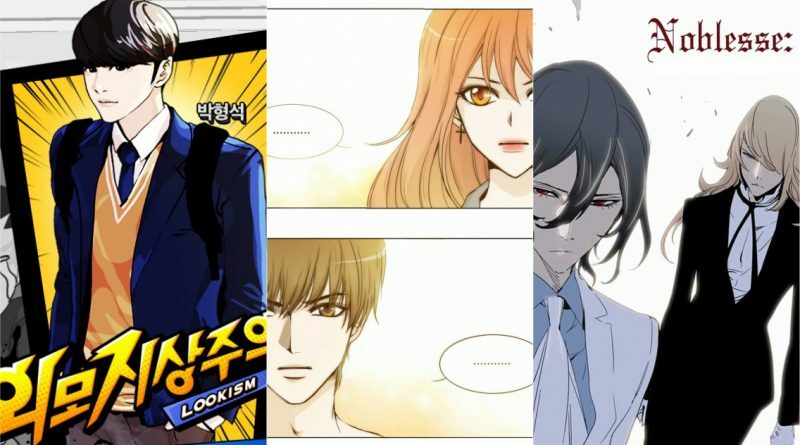 In this webtoon is told that in the world are exposed to 3 types of living things ie werewolf, noble, and humans are overcome by noblesse who maintain that balance. This Webtoon tells the story of a great noble named Cadis Etrama Di Raizel, hereinafter referred to as Rai, who has been asleep for 820 years without knowing the progress and success that human created. Rai woke up in a derelict building in South Korea and started trying to adapt to today’s world. He went to a school and met his loyal servant named Frankenstein. With the help of Frankenstein, Rai enrolled in high school and made friends with an athletic youth named Shinwoo, a lover of Ikhan’s computer, a girl who likes Shinwoo named Yuna, and others. The story of this webtoon focuses on the fight between werewolf, nobles, noblesses, and human trials.